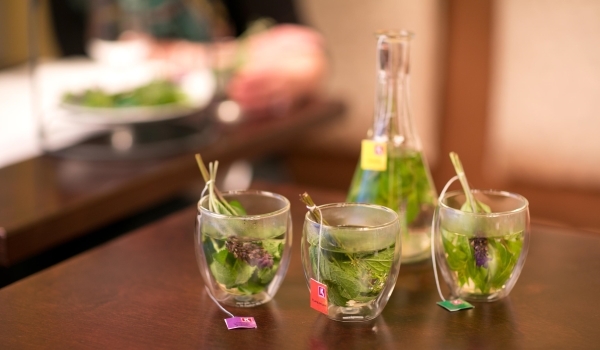 Koppert Cress Infusions on TEDxBinnenhof! Next to coffee of Moyee on TEDxBinnenhof we will serve Fresh Herbal Infusions van Koppert Cress! This is a unique way of experiencing a fresh brewed herbal tea, and just has to be present at our innovative food experience. The experience a tea provides is becoming an increasingly important part of how people enjoy it. Especially for hospitality and catering we have combined a number of herbs into refreshing, delicious herbal tea blends. These herbs, steeped in hot water, will help you feel good! The unique variety of flavours means that you can create a delightful moment of relaxation at any time of day. Koppert Cress infusions is the result of a unique project: two companies working together to improve the living conditions and well-being of the local population of Kenya. The cultivation of the herbs for infusions makes this possible. The herbs are grown on a farm at the base of Mount Kenya, where the proceeds from cultivating the herbs are being used to build a dam for collecting rainwater. This will ensure that the population, their cattle and the vegetation have enough water during dry season. infusions are available in four different blends: Verbena & Lavender, Lavender & Mint, Thyme and Mint and Verbena.